The wonderful skyline in Vegas. This is the view of the hotel “New York, New York” which is directly across the street from the MGM Grand where we’ve held SQLintersection for Fall 2013, Fall 2014, and we’ll be heading back for Fall 2015. We hope to see you there! 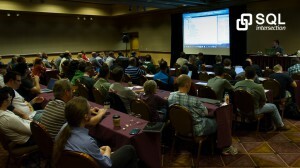 It’s been a busy few weeks… and it all came together amazing well last week as we had our twice yearly SQLintersection conference (the Fall event is usually held in Las Vegas). 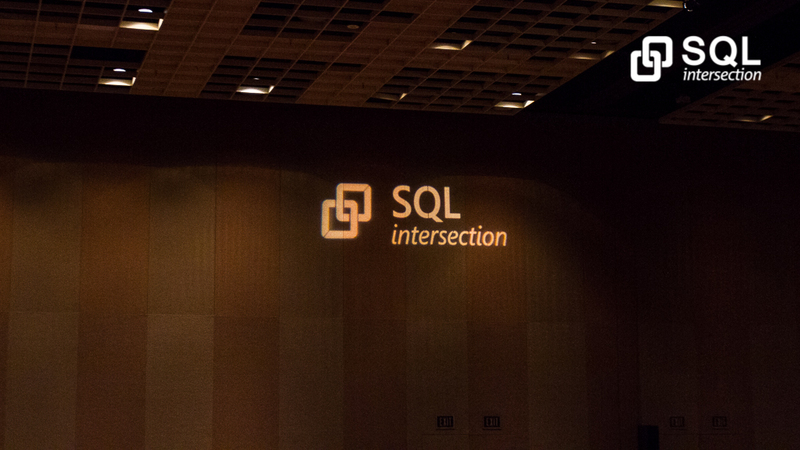 It was only 2 years ago that we decided to move to a different format and really handle a conference the way that WE want to (you can read a bit more about that here: SQLintersection: a new year, a new conference). And, I’m happy to say that most of it went really well. We’re still learning little tips and tricks along the way and there are ALWAYS things that we can improve but overall, if we can keep on the same track as last week’s event, we’ll be very happy! First off, our speaker line-up was PHENOMENAL! Our Content was Top Notch! In addition to our 8 full-day workshops (3 precons on Sunday, 3 precons on Monday, and 2 post-cons on Friday), our 44 regular conference sessions and our two fantastic SQL-oriented keynotes (in additional to many developer and show keynotes), we also held our first-ever SQLafterDark evening event. We put this together somewhat at the last minute as we decided that we wanted to have more of a social evening event just for SQL folks. And, despite the late addition – it worked out perfectly. 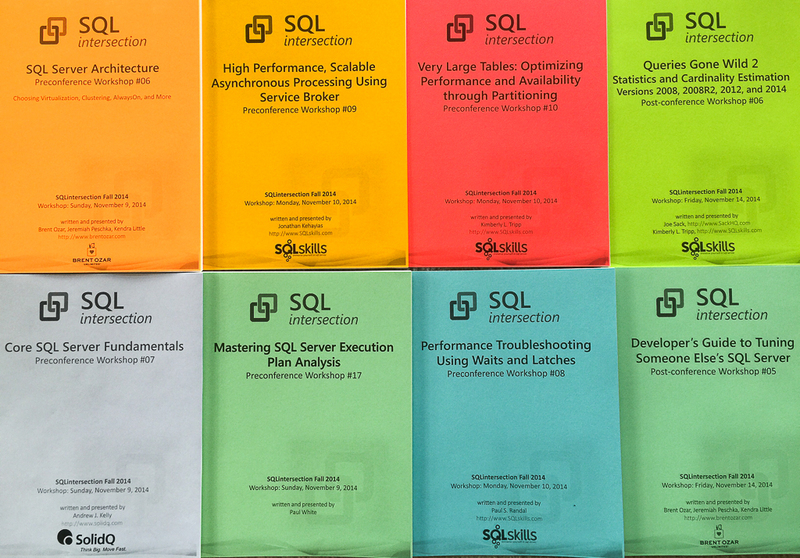 SQLintersection workshop workbooks – lots of content over 3 different workshop days – and a few folks did ALL THREE days of workshops! Almost every speaker was able to join us and we came up with some great prizes to raffle off AND some great questions for a trivia game. We started the evening with everyone coming in and grabbing a drink. We socialized for the first 30+ mins and I brought attendees and speakers together by hearing questions and then matching the right folks together. We all relaxed and unwound from an intense day of sessions and we all had a drink (the first round was sponsored by SQL Sentry and SQLskills). 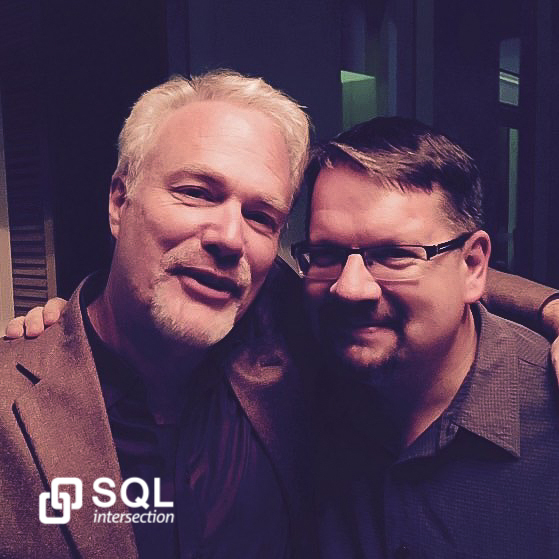 Roundtables, an open bar, TONs of great prizes, a great set of SQL folks all in one place – to relax / chat / unwind. Definitely an event to repeat! Since it was SQLafterDark, I decided to go with a grainy black and white image of the event. What a fantastic evening. A new STAPLE for our SQLintersection event. Our 24-question, two-round trivia game was filled with both technical and pop-culture trivia (questions supplied by SQL speakers and tied to their interests). Here’s the team that WON the overall game for the night. 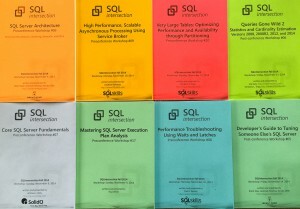 They each received a SQL Sentry Plan Explorer Pro license for their having won the challenging game. They also got bragging rights for the rest of the conference! This is one of the areas that we still need to improve upon. And, for this I’d like to apologize. It’s now 3 days after the show and the content has not yet been posted online. For those of you who have sent me mail – keep on doing that. I’m happy to get you the content you need directly. As for a show (with many moving parts), I’ve learned that I can only “ask” so much. And, since I don’t directly control the posting, it’s harder than I imagined to get all of the “updates” posted to our update location. If you were at the event then you know the location where this content is supposed to be and you know that I had told you that it should be available by Monday. I’m not going to point fingers but I had been told that it would be posted Friday / Monday after the show. But, a combination of things has delayed this process (no, it’s NOT acceptable IMO). This is one of the things that we WILL be improving for our next show – I PROMISE! 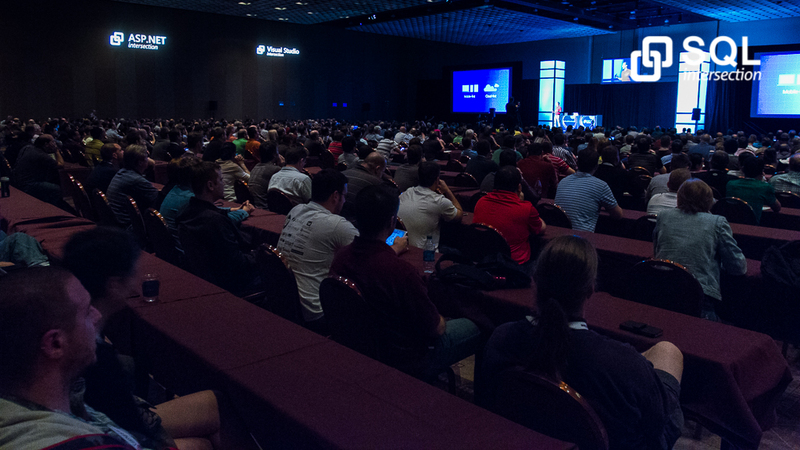 So… until all of the updates are posted (which really should be VERY soon; I’ve been PROMISED today / tonight), feel free to email me with your requests for the content that you need / want (give me the speaker and session name and I’ll work to get the resources to you ASAP). UPDATE: About 2 hours after I wrote this post, I received the email that our resources are online! Yeah. And, we’ll make sure that this process is streamlined for the next conference so that things don’t go into the following week. Thanks for your patience everyone!! 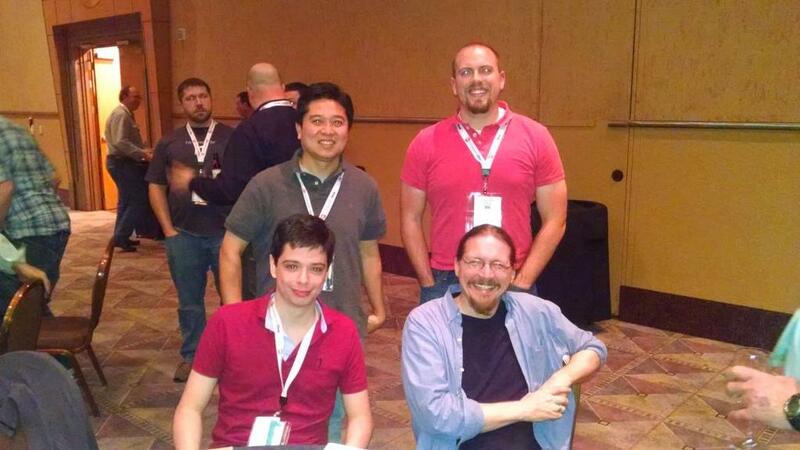 Finally, a few pictures from the DEVintersection and SQLintersection conferences! 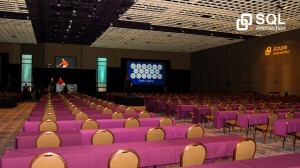 This was just as we were setting up for the first evening keynote by Microsoft Executive Vice President Scott Guthrie. Scott’s on stage; he’s in red (way off in the distance). One more of Scott and Richard. Turn off the lights, we’re going to open the doors! 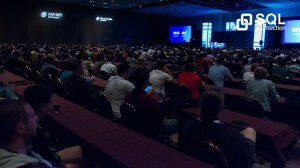 And now, it’s time to start the keynote! 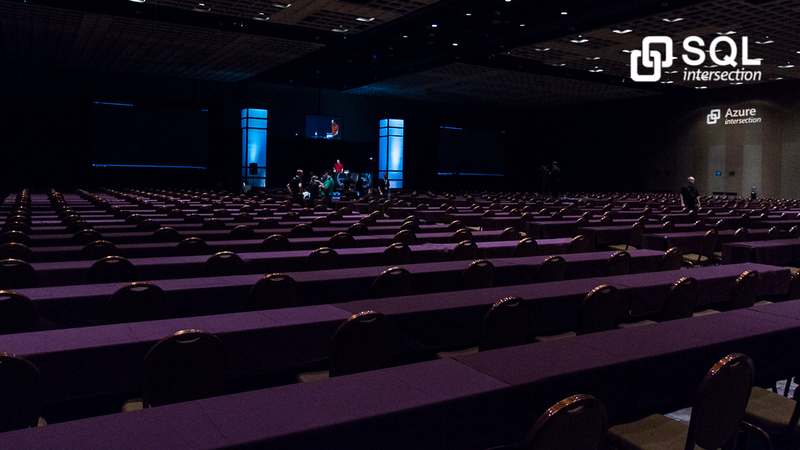 A few more angles for our opening keynote session with Scott Guthrie – Executive Vice President of the Cloud and Enterprise group in Microsoft. He is best known for his work on ASP.NET, which he and colleague Mark Anders developed while at Microsoft. Last one! 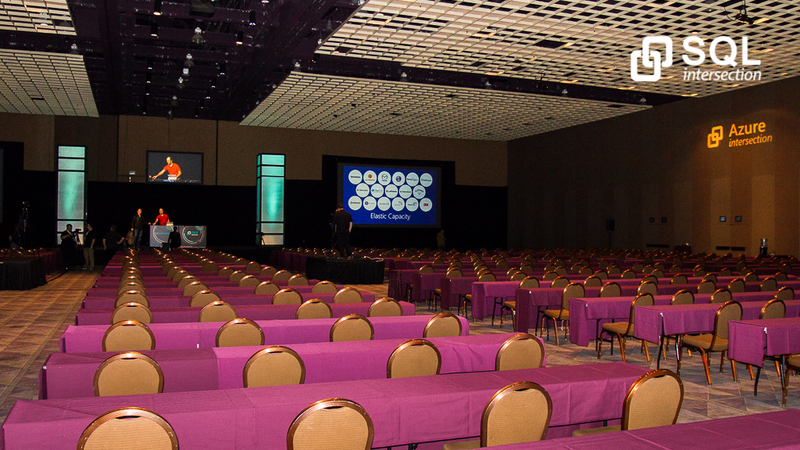 A few more angles for our opening keynote session with Scott Guthrie – Executive Vice President of the Cloud and Enterprise group in Microsoft. He is best known for his work on ASP.NET, which he and colleague Mark Anders developed while at Microsoft. 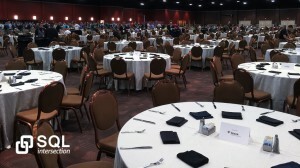 Lunch with 1500+ of my favorite techie folks (the lunch hall had just opened so I grabbed a quick shot before folks sat down). I heard lots of great things about our food during the event – which is always a good thing as it’s hard to feed so many folks at the same time! But, Vegas does this really well! Here’s Kendra Little showing an execution plan. 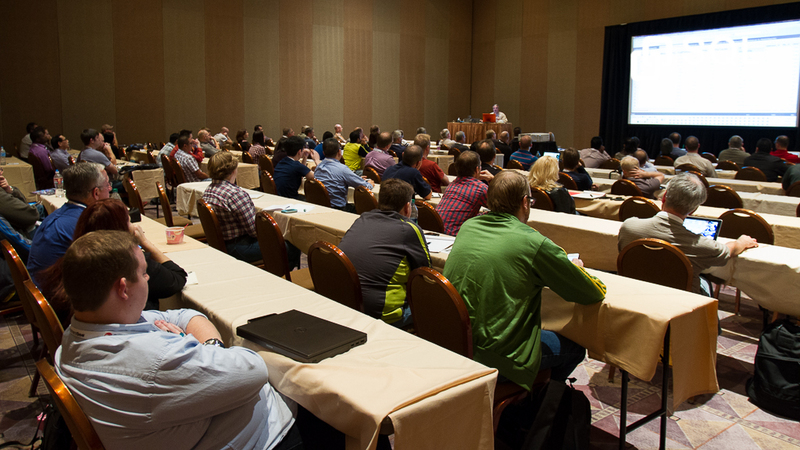 I had a packed house for sessions on statement execution and stored procedures and with lunch in between my two sessions, I got to answer a lot of questions and hang out in the room (I try to do this if I can as it gives me more time with attendees). THANKS for all of your great questions! 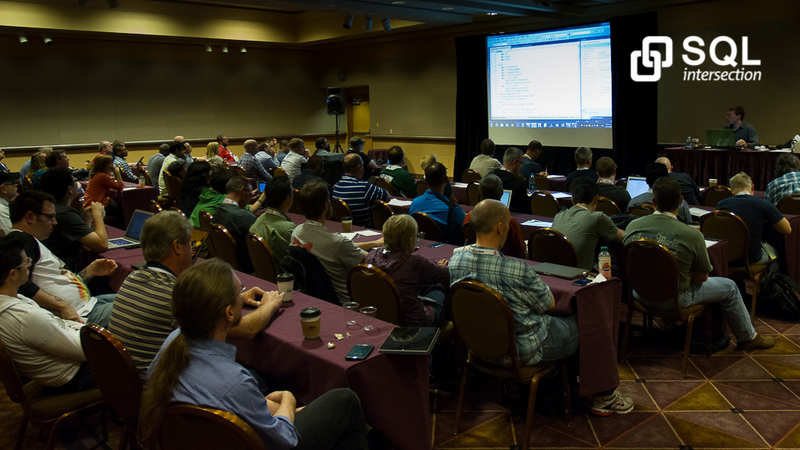 Another angle, another session… this time it’s optimizing stored procedures! Here’s Paul White discussing Parallelism in a two-parter of deep 300 and 400 level sessions. 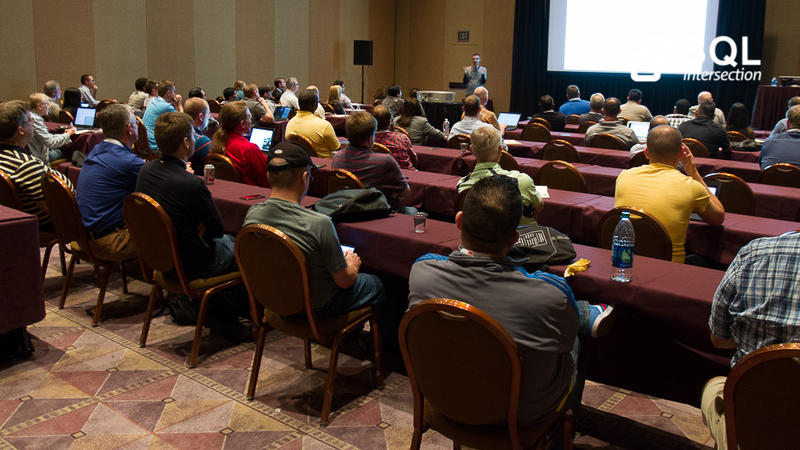 Here’s Brent talking something… (OK, I can’t remember exactly which session this was). But, it is Brent – just doing his magical thing! 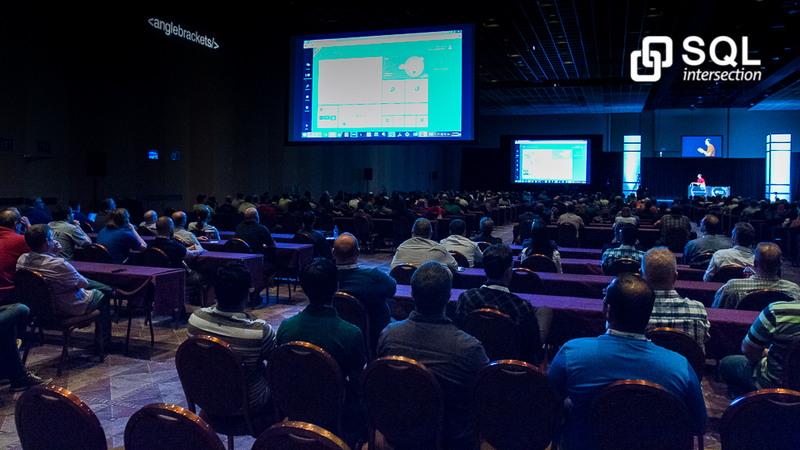 And here’s Microsoft’s Tim Chapman talking about tools for troubleshooting. Andrew Kelly talks TempDB optimizations and usage. Another one of Andrew Kelly talking tempdb. Then, on Friday evening, Paul and I wrapped up the week heading out for dinner and a show (“O”) with Bob Ward and his lovely wife, Ginger. What a great way to end the week! 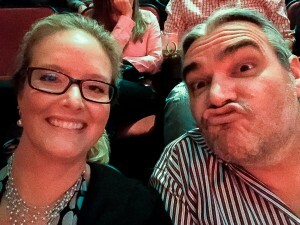 If you have the opportunity to see a Cirque du Soleil show, I highly recommend it. 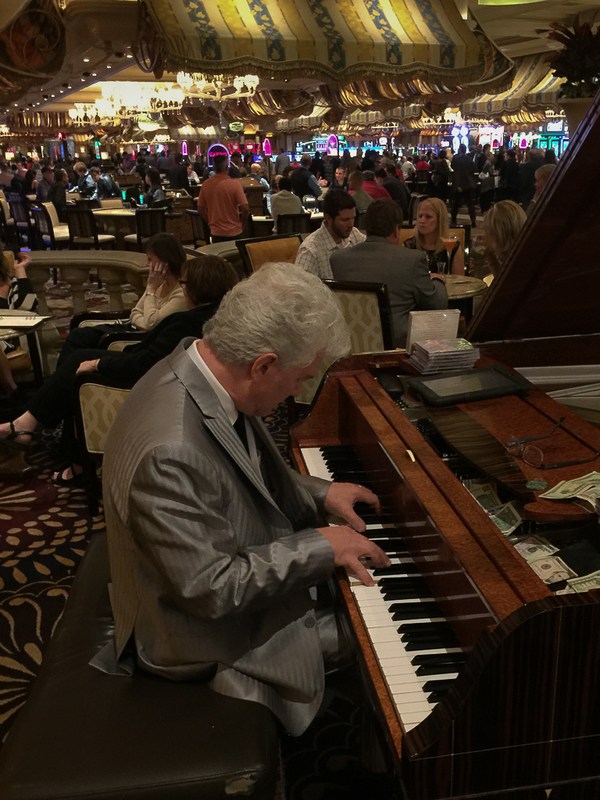 In fact, one of my favorite things to do while in Vegas is “hit a show” and we try to do this almost every time we’re in Vegas. We’ve seen some wonderful presenters over the years – Bette Midler, Cher, Elton John, Rod Stewart… and our favorite Wayne Newton (no, seriously – he was so genuine and so down to earth – it was incredible). My Mother and Wayne Newton were born on the EXACT same day so we actually got tickets because my Mother wanted to see him (we never would have chosen him on our own but we’re SOOOOO glad that we did). Anyway, Vegas is really AMAZING for shows! There’s a piano bar just off the main entrance of the Bellagio. We stopped there before dinner. I asked to hear some ColdPlay and the pianist knocked it out of the park. It was EXCELLENT. Here we are at dinner… tapas, margaritas, and wonderful conversation – what a way to end a crazy week. Thanks Bob / Ginger! 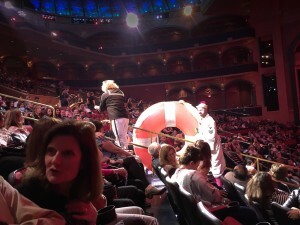 This is during the “pre-show” as everyone is getting settled into their seats. 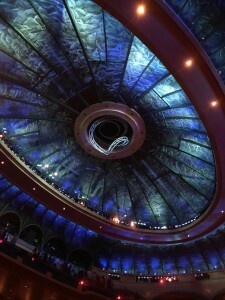 This is the ceiling in the Bellagio “O” theater – a sight in an of itself. Gorgeous theater specially-built for “O” (which is a water show – and, the stage is a big part [and, super interesting part] of the show)! Highly recommended!! 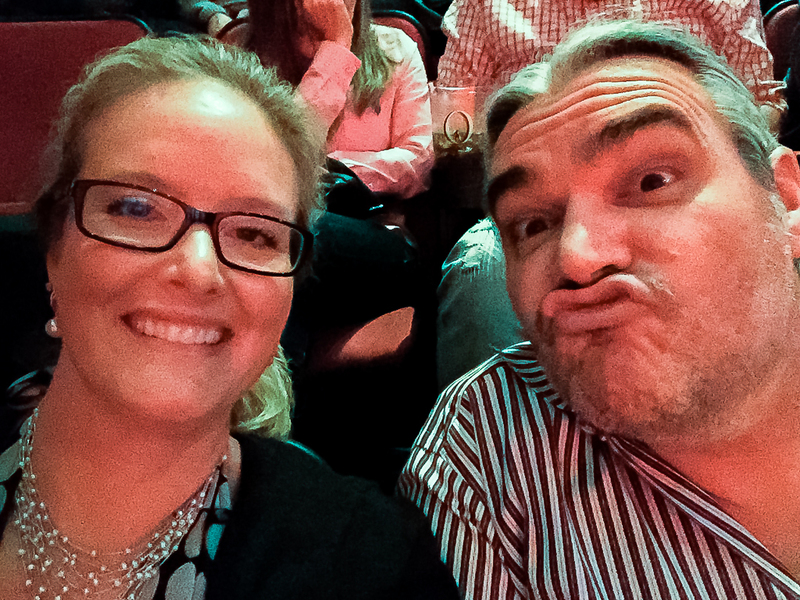 Yep… he’s all mine. I can’t even get a quick selfie shot that’s nice. Welcome to my world. OK, that’s it from our Fall SQLintersection show. We’re already planning for Spring and Fall 2015. Be sure to save the date! Thanks so much! We’re really looking forward to our next show already (already planning a few things for SQLafterDark).